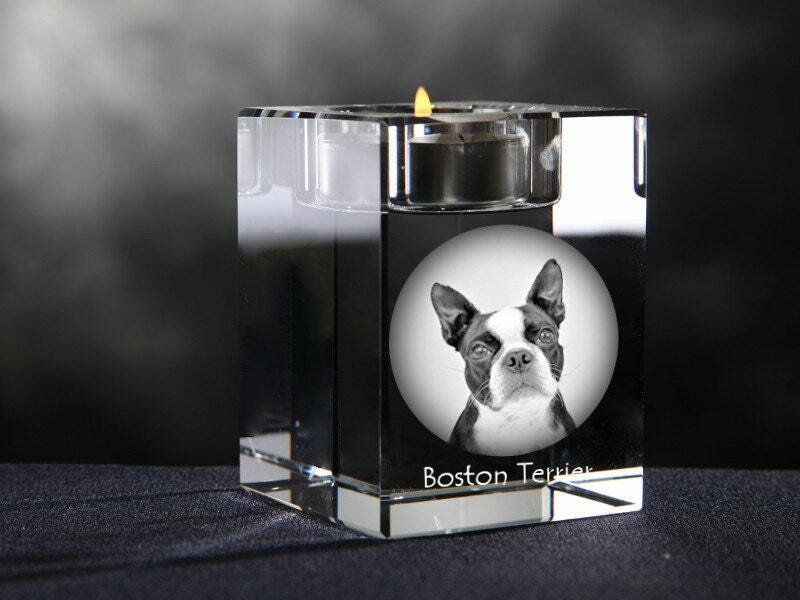 Crystal candlestick with an image of a dog. 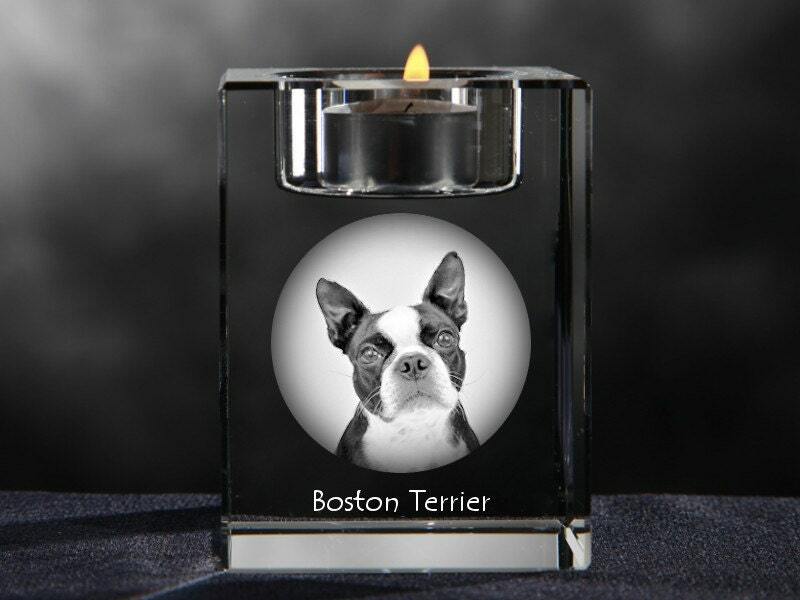 Collection of candlesticks with the image of purebred dogs. Original collection of 100 candlesticks that you will only find here. A unique gift for friends and family for any occasion. Modern style, looking magnificent on your coffee table, dresser, window sill and in many other places. Each candlestick is in leatherette box.